Measuring corporate EHS and sustainability performance is an important undertaking for both internal and external stakeholders. Join your peers for case studies on how companies are structuring their metrics programs and conducting the materiality assessments that are driving reporting efforts. Attendees will also interact with members of the ESG community and receive updates on the standards being developed by these groups. 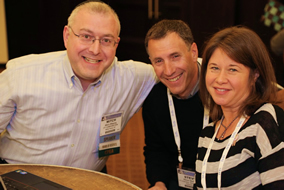 Learn more about the professionals you'll meet at this year's conference. Get insight into the quickly changing world of metrics and materiality. This event will feature case studies from a variety of industries to give you clarity on leading metrics and increasing reporting efficiency. View program topics. The 2014 Metrics and Materiality for EHS & Sustainability Reporting conference will feature EHS and sustainability experts from across industry sectors. 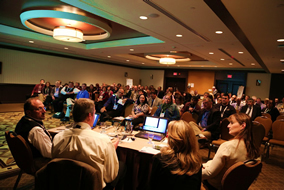 Learn more about who attends NAEM's conferences. 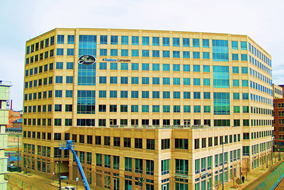 Join us at Gates Corp. in Denver, Colorado.